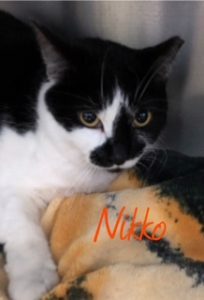 Nikko is a handsome black and white boy, with an adorable smudged nose. He and his sister Ferry were born on 1/26/17, and found in Farmingdale. Darling Nikko is ready for a new life in a new home with a new family. Come meet this lovable boy and make him part of your family!